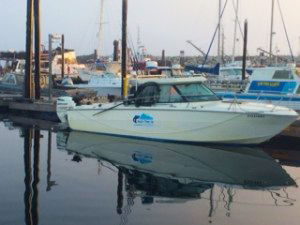 Hook n Them up Fishing Charters | Port Mcneill and Port Hardy Fishing Charters MAY LONG WEEKEND IS COMING LETS GO FISHIN! MAY LONG WEEKEND IS COMING LETS GO FISHIN! Hi Folks Capt. Steve here saying the waters wet the Sky is blue the smileys are smiling and the flat ones are getting flattened. Summer is almost but we finally have spring and Halibut season is open folks whooo weee. Anyway fishing has been pretty good lots of halibut and salmon being caught this week and weekend from all areas. There’s still lots of room for the May long weekend coming up I have half day and full day charter spaces left. To show my appreciation for the people of Victoria in supporting me this year I am offering a 10% discount on top of my winter rates to LOCAL VICTORIA/SOOKE/LANGFORD/METCHOSIN/SYDNEY RESIDENTS ONLY FOR THE MONTH OF MAY AND JUNE. This is my way of saying Thank you to Victoria and the surrounding areas for making it possible for me to live my dream. Being a fishing guide :) Thank you for letting me be apart of your community. God Bless to you and yours. I will keep you all posted as per the limits and dates for the closer of the Halibut season so please feel free to book a trip with us if your wanting to catch a few flat ones. So with that all being said HOOK’N THEM UP FISHING CHARTERS welcomes you aboard to explore the great fishing waters of Southern Vancouver Island in British Columbia on Canada’s West Coast Right here in Oak Bay Victoria BC’s hidden gem for Halibut and Salmon Sports Fishing. We offer something for the entire family – feed the seals at the marina spot a killer whale or two, dine at the marina restaurant check out the seabirds of all varieties and all the beauty that the west coast has to offer. Please come and join us this season and make your Victoria BC sports fishing experience a HOOK’N THEM UP fishing charters experience. It’s one you won’t soon forget. So until then keep your tips up and tight lines. Hope to see you all very soon on the beautiful southern part of the west coast right here in Oak Bay Victoria BC. https://www.vanislefishing.com/wp-content/uploads/2018/09/logo.png 0 0 Steven https://www.vanislefishing.com/wp-content/uploads/2018/09/logo.png Steven2012-05-17 04:32:402012-05-17 04:32:40MAY LONG WEEKEND IS COMING LETS GO FISHIN! LOCALS DISCOUNT (VICTORIA/OAKBAY/SYDNEY/SOOKE/METCHOSIN) Sunny Sunday!